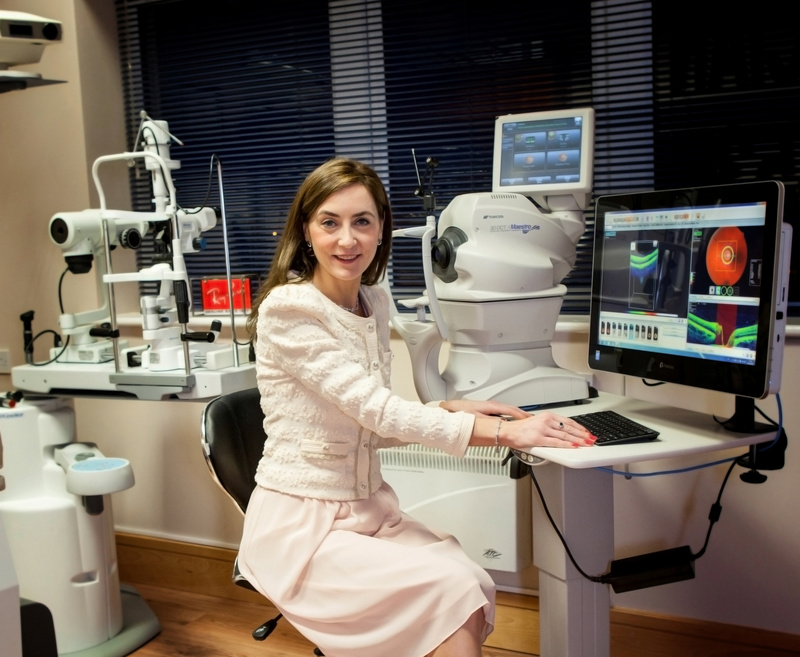 Oranmore Optometrists have recently invested in the revolutionary diagnostic 3D Optical Coherence Tomography system (3D OCT). What is OCT? Ocular Coherence Tomography is an advanced eye scan for people of all ages. Similar to ultrasound, OCT uses light rather than sound waves to provide a 3D view of all the major structures in the eye. This enables the optometrist to see a three dimensional image which help detect eye abnormalities such as age-related macular degeneration, diabetes, and glaucoma to be detected at a very early stage. The scan is non-invasive, painless, and takes only a few minutes to complete. The major benefit of this state of the art machine is that we can literally look beneath the surface of the regular retinal image.Never before, has it been easier to find out the exact state and location of a particular eye condition. We can then study & review each image captured on a screen and pin point the areas of concern by digitally peeling the layers back until they define what it is that they have identified. Our aim is to provide the best eye care. Using the OCT, we can diagnose, manage and refer you to a specialist for further treatment, should this be required. Oranmore Optometrists highly recommend that their patients consider utilising this advanced technology to safeguard their eye health. The benefits of the OCT are outstanding. Make sure that when booking your next eye test, you ask about an OCT scan. An additional fee applies to this scan but the benefits to your eyes are enormous.